I know the whole Military Costume thing in anime has to do with Japan in World War II. There is a long cultural shadow there. I still think it is interesting. For some reason some of the costumes remind me of Michael Jackson. 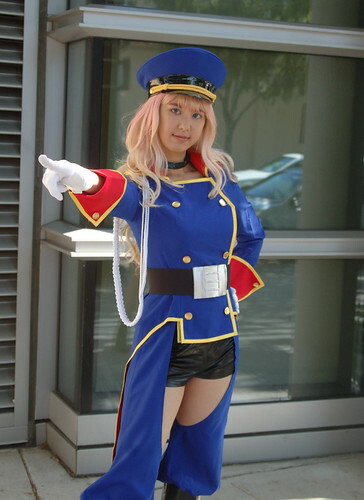 Just so you know, I'm pretty sure that's a rendition of Utena Tenjou, the main character of Revolutionary Girl Utena. It's a classic anime/manga series.